WASHINGTON — The U.S. Supreme Court has declined to hear a case surrounding whether high school graduations may be held in churches, allowing a lower court ruling to stand that declared the practice to be unconstitutional. The court issued its denial on Monday, with Justices Antonin Scalia and Clarence Thomas dissenting. The case, Elmbrook School District v. Doe, has been battled in the court system for the past 14 years. 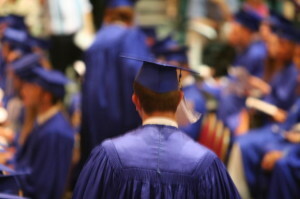 In 1990, Americans United for Separation of Church and State (AU) filed suit against the Elmbrook, Wisconsin school district after some expressed offense at hosting graduation at the non-denominational Elmbrook Church. According to the suit, the religious symbols and materials displayed at the church were considered coercive toward Christianity. The district court and a three-judge panel with the 7th Circuit Court of Appeals both ruled in favor of the district, finding no First Amendment violation by the practice. However, even though the school district discontinued using Elmbrook Church for graduation services, AU filed an appeal, requesting a full review by the complete 7th Circuit. The district then appealed the ruling to the U.S. Supreme Court, which declined the case today after two years of shelving the matter.